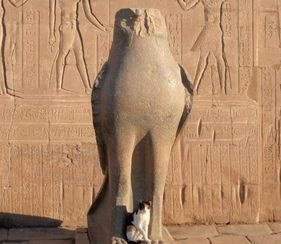 Situated on the west bank of the Nile, Edfu is located around half way between Luxor and Aswan. 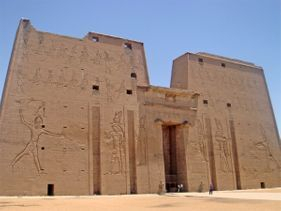 The Temple of Edfu towers above you, at it’s highest point it is an amazing 37 meters high! Built during the Ptolemaic Period 237 BCE to 57 BCE it continued to be used into the reign of Cleopatra VII. The reliefs on the great walls show archaological sequences that date from the Old Kingdom to the Greco-Roman Period. 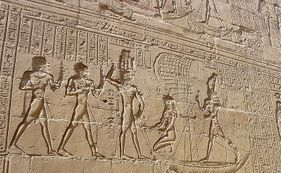 Edfu Temple was one of a number of Temples built around this time, including Kom Ombo, Philae Temple, Esna and of course Dendera. Dedicated to the Falcon God Horus, the walls on this outstanding Temple contain inscriptions that give details of religion and language during the Greco-Roman Period in Ancient Egypt, as well as showing battle scenes in perfect clarity. A number of the fanstastic reliefs were damaged during Theodosius I’s ban of Non-Christian worship within the Roman Empire. And, it is said that arson was the cause of the blackened ceilings inside the great Hypostyle Hall (shown below), in order to damage the images that were considered of a religious nature and therefore banned. It is said that each year the Goddess Hathor travelled south down the Nile, from her temple at Dendera, to visit the God Horus at Edfu Temple. 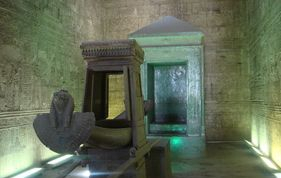 Displayed within the inner sanctuary, further inside the temple, is a replica of a Barque of Horus. 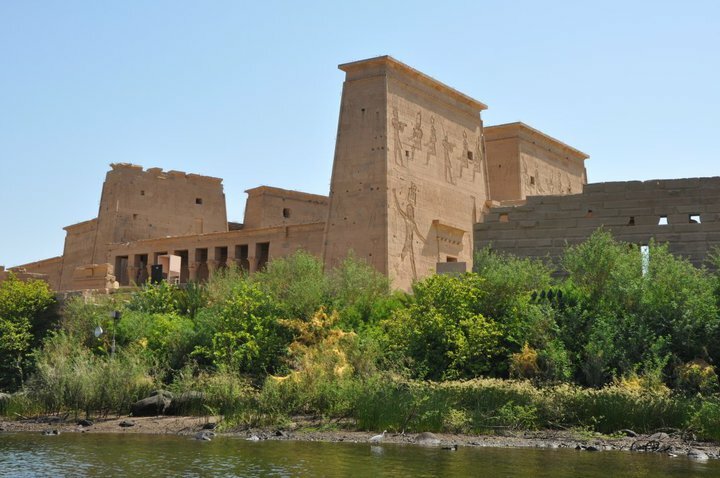 As the years passed the temple began to be buried, at some points up to 12 metres, by sand from the desert and silt from the River Nile. 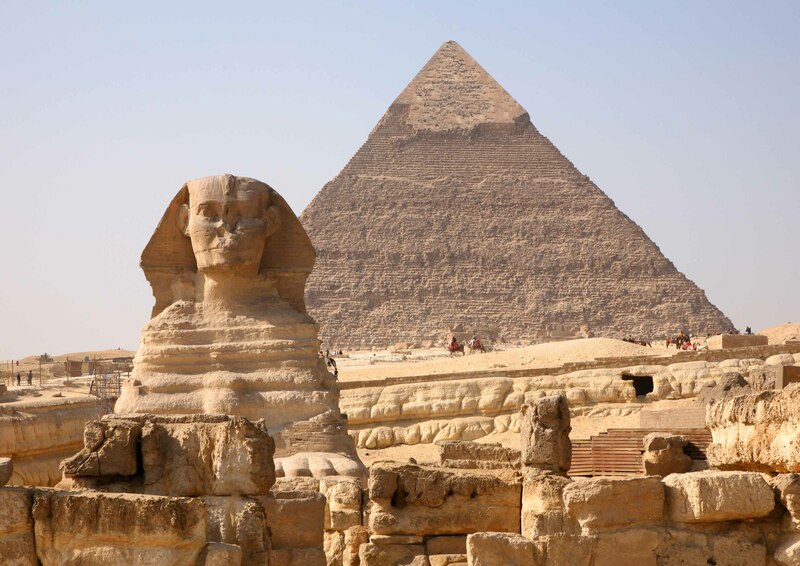 When buried, only the tops of the temple’s huge pylons could be seen until, in 1860, the French Egyptologist Auguste Mariette started to clear the sand and expose the temple’s glory. The Temple is almost completely intact, and contains many rooms and heiroglyphic detail which will astound you. Shown below is an example of the intricate detail and outstanding colour on an entrance ceiling, still existing at the temple today. Ask your Egyptologist to show you the ceiling artwork of the Goddess Nut giving birth to a new day. The artwork is in its original colours and it’s amazing to think that this Temple has been standing for over 3000 years! 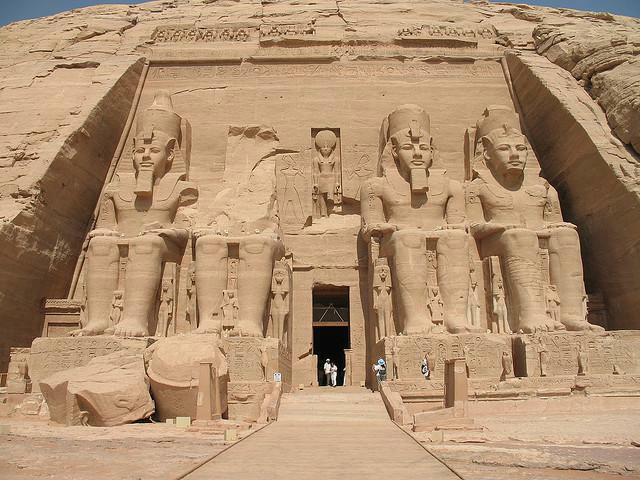 A visit to the Temple of Edfu is contained in all of our Aswan to Luxor and Luxor to Aswan Tours, as well as included in all of our Nile Cruise Packages. An amazing site to see, Edfu Temple is such a magnificent temple you will definately not be disappointed when visiting this wonderful site.